Amazon announced that it has completed its first package delivery to a bonafide customer using an unmanned aerial vehicle or drone. Amazon customer Richard B. received his online order via a drone at his home in Cambridgeshire, England last Dec. 7th. Richard had his order delivered in less than 30 minutes from placing it. 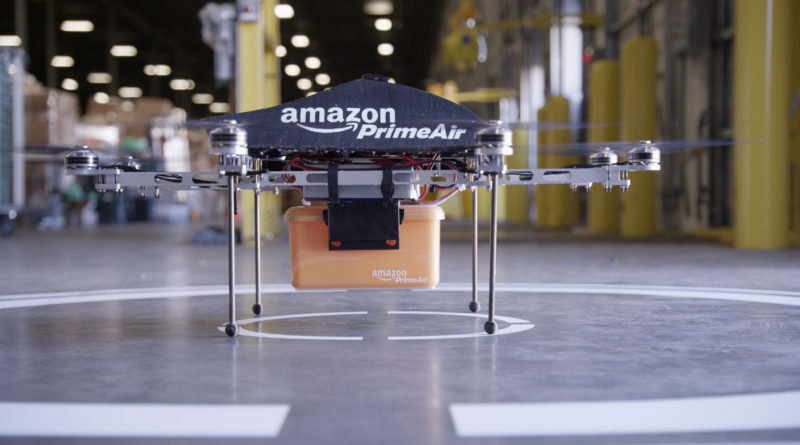 Amazon calls its new service using drones to deliver packages to customers in 30 minutes or less as Prime Air. This drone delivery system currently has two customers, Richard B. being one of them. Amazon, in a video presentation, said that the company hopes to increase in the coming months its drone customers to hundreds more – specifically to those living within several miles of its UK facility. Prime Air’s drones are fully autonomous from take-off to landing and return. These drones can cruise below 400 feet and can carry packages of up to 5 pounds. Prime Air development centers are located in the United States, the United Kingdom, Israel and Austria. In the UK, Prime Air’s drones are permitted to operate only during daylight hours, when there are low winds and when visibility is good and are not permitted to fly in rain, snow and icy conditions. “We are working with regulators and policymakers in various countries in order to make Prime Air a reality for our customers around the world, and expect to continue to do so. One day, seeing Prime Air vehicles will be as normal as seeing mail trucks on the road,” Amazon said.